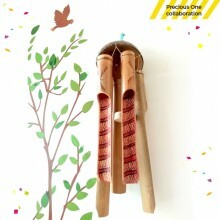 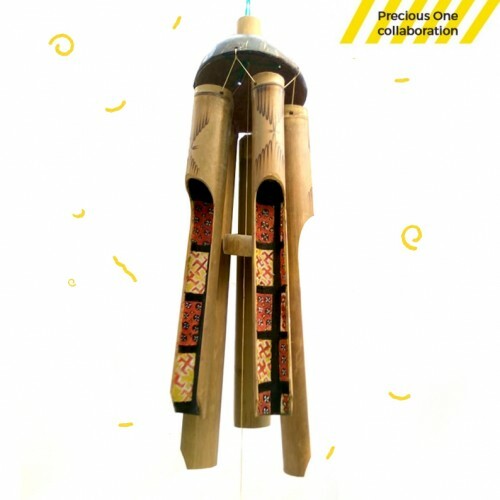 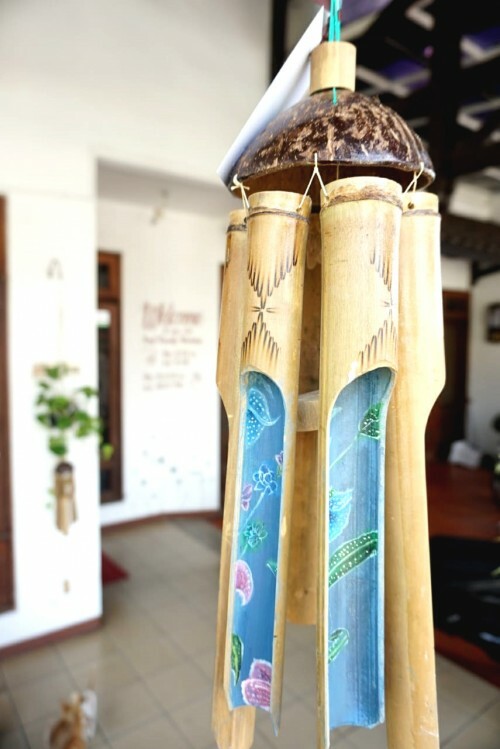 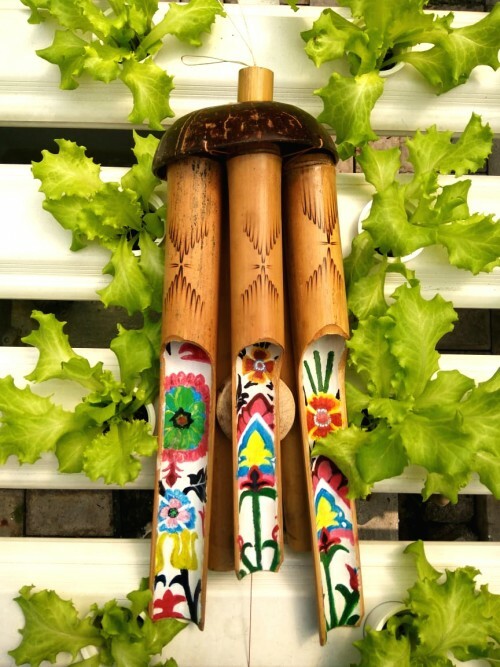 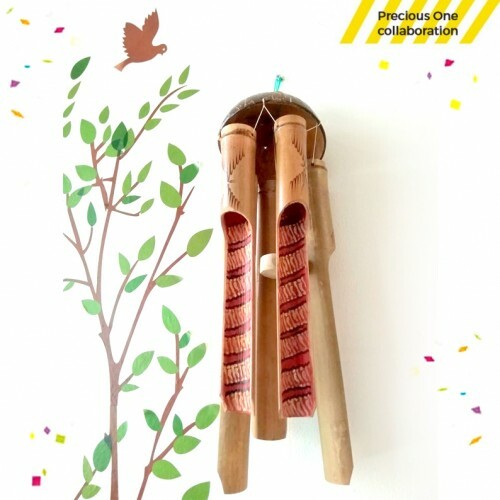 Bamboo wind chime, hand painted. 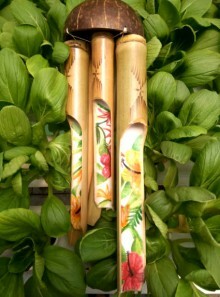 Consist of five bamboo pipe, 76 cm total length. 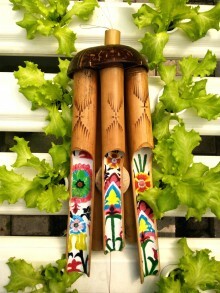 Pattern and color may vary based on availability. 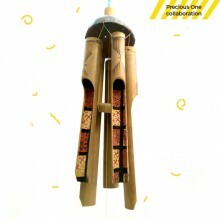 For custom design please contact 087880709000. Product collaboration with Pak Wiyono, person with disabilities from Semarang.